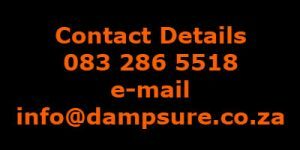 Dampsure is a damp proofing company operating in Johannesburg and Pretoria. 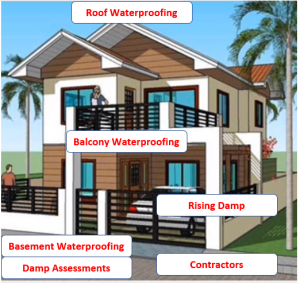 Dampsure serves both domestic and commercial customers, we provide our expertise and knowledge in damp proofing, basement tanking and balcony waterproofing. Damp and especially Rising Damp can cause major plaster deterioration to your building and can cause severe health problems to yourself and your family. Dampness can impact the structural strength of your property, walls can become weak and bubbling of paint will not be a pleasant sight. Our tested and tried damp proofing techniques will remove the ugly damp blisters from your walls and we will inject special DPC Creams into the wall to stop future rising damp. If your home shows any signs of damp, mold or rotting skirting then it is imperative you call us as soon as possible. Damp that is left untreated can eat away at your property and cause much more extensive damage and it could run into the thousands to rectify. Damp causes mold that can cause severe health problems. With many years in the damp proofing industry, we as damp proofing contractors have built our reputation by taking pride in our work and ensuring that our customers are 100% happy with the work we carry out for them. 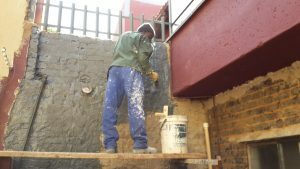 Only the best quality Damp Proofing is done by Dampsure damp proofing contractors; using some of the best damp and waterproofing products in South Africa.